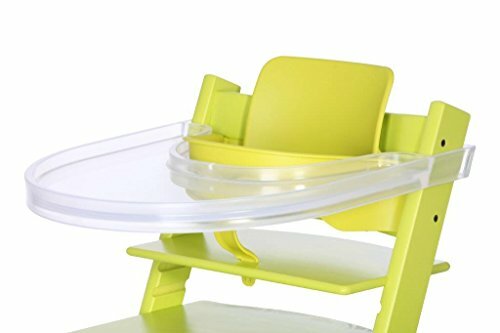 Playtray is a tray designed for the Stokke Tripp Trapp chair. Playtray can be used when eating, playing and drawing and makes life easier for the child as well as its parents. Playtray's soft and round design makes it easy to mount and clean. The plastic surface is easy to wipe of and is very resistant to marks from forks and spoons. It has an edge that keeps spilled milk from running to the floor when the cup tilts. It has an edge that keeps spilled milk from running to the floor when the cup tilts. Playtray is FREE of phthalates, PVC and bisphenol-a. If you have any questions about this product by Play Tray, contact us by completing and submitting the form below. If you are looking for a specif part number, please include it with your message.